A customer's video of their first attempt at cooking a pizza. (side BBQ not fitted) See Reviews tab for full review. 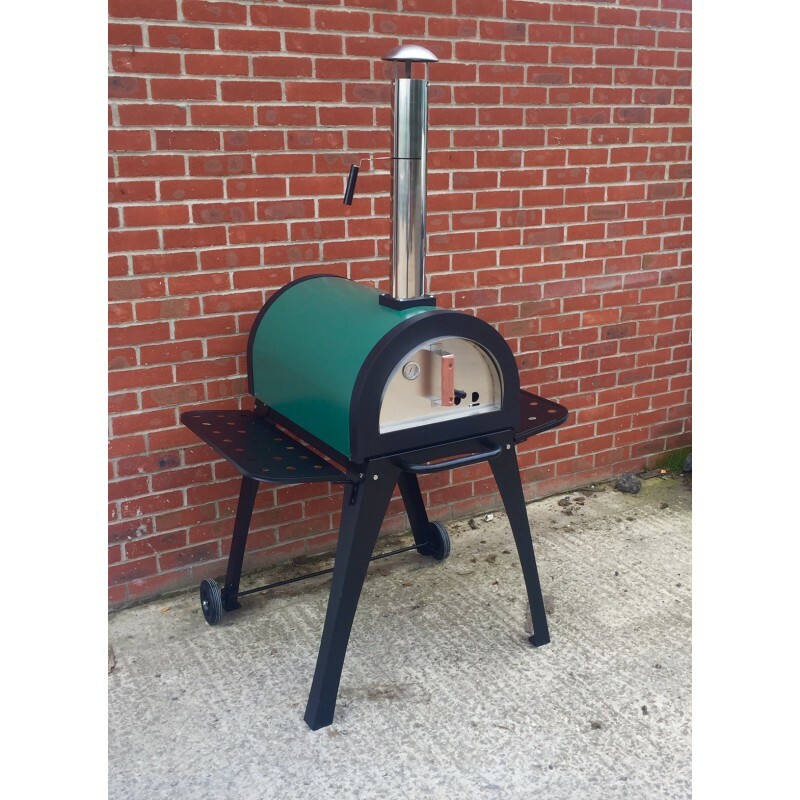 Cove's 82kg Green Machine is the ultimate universal outdoor accessory which allows you to stone bake Italian style pizzas and other exciting dishes. The oven is double layered with fire retardent insulation, and the outside steel shell is painted in a wonderful garden green. The oven chamber itself is 700mm Deep, 460mm Wide and 270mm High and can fit a sizeable pizza or anything you fancy cooking in the oven; its uses are endless. The advantage of having a stone base is that the heat stored in these stones is transferred directly through the pizza / bread that is placed directly on it. The oven will retain the heat for hours and is perfect for cooking other dishes including lasagna and casserole. Please note that this is the price for delivery of Green Machine Outdoor Stainless Steel Stone Base Pizza Oven, Garden Oven, Smoker, BBQ only. The final amount might change depending on the contents of your shopping bag when you check out.